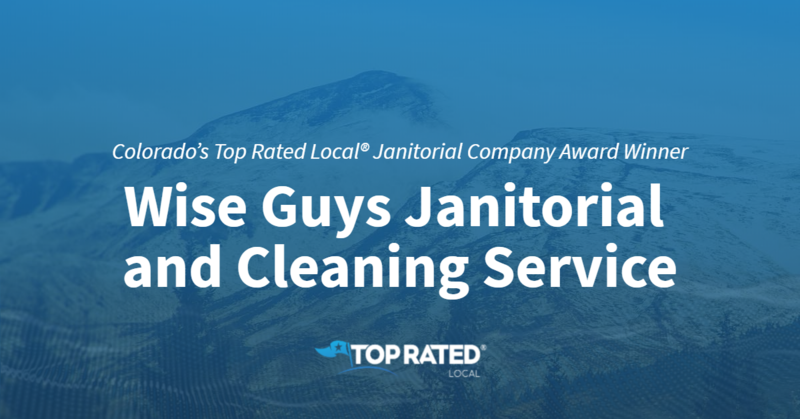 Top Rated Local® is pleased to announce that KB Cleaning & Services is a 2019 award winner for janitorial companies in Minnesota! When it comes to janitorial services, no other company beats KB Cleaning & Services in Mankato. KB Cleaning & Services has received dozens of reviews with an average rating of 4.96 stars, earning them a phenomenal Rating Score™ of 94.60 and a 2019 Top Rated Local award for being ranked the number one janitorial company in all of Minnesota! “What a great place, from the owners to the team that works there. They were recommended from a Facebook post I put on to do a full, top-to-bottom, inside-and-out cleaning on a house we were selling. Logan communicated schedules great; his team that showed up was so nice and professional, and he even came back at the end to tell me about other services they offer that we might be interested in and to make sure we were happy. Then to top it all off, I had a question about an item that wasn’t done (not sure included or not), and he got back to me right away and said it would be taken care of. [This is an] above-and-beyond company from start to finish. [They provide] reasonable prices, quality work and excellent customer service!! I highly recommend [them]! !” – Kimberly K.
Logan Baggott, the owner of KB Cleaning & Services, generously gave us a few minutes of his time to tell us about his stand-out business and its outstanding online reputation. The first thing we wanted to know was what makes KB Cleaning & Services stand out from the pack when compared to the many other janitorial companies in Minnesota. Logan points to their seven years in business and their long list of services, which include cleaning, lawn care, snow removal and more. He also told us that working with KB Cleaning & Services means that his clients don’t need multiple vendors; they’ve got what it takes to handle it all! When asked about the KB Cleaning & Services secret to a strong online reputation, Logan credits the fact that, because they can do anything and everything, they make their clients’ lives easier. Outside of building a strong online reputation, KB Cleaning & Services has gotten the word out about who they are and what they do through Facebook and word of mouth. 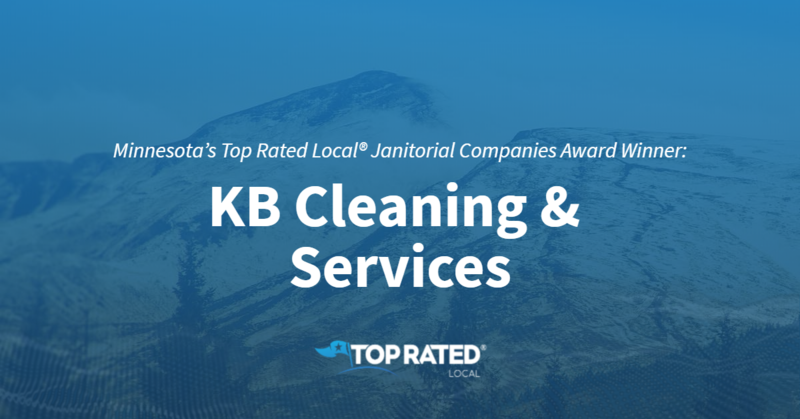 Congratulations to the team at KB Cleaning & Services for being a 2019 Top Rated Local award winner, and thank you so much, Logan, for taking the time to speak with us! For all of your janitorial needs in Mankato, we highly recommend working with Logan and his team at KB Cleaning & Services. Visit their website today! 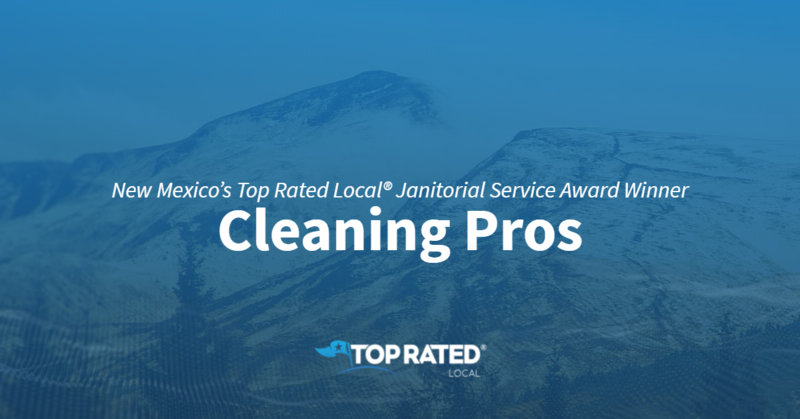 Top Rated Local® is pleased to announce that Jan-Pro of Detroit is a 2019 award winner for janitorial companies in Michigan! If you are in the greater Detroit area and need a top notch janitorial company, look no further than Jan-Pro of Detroit. Jan-Pro of Detroit has nearly 30 reviews on 3 verified sites with an average star rating of 4.83 earning them an unbelievable Rating Score™ of 94.28 and a 20198 Top Rated Local award for being one of the top 10 janitorial companies in the state of Michigan. “Jan-Pro is a HUGE improvement over the previous cleaning service we used. They are responsive, reliable and flexible. We are very pleased with them and definitely recommend them.” – Carol B. We took a few minutes to speak with Jared Rothberger, the owner of Jan-Pro of Detroit, to find out more about the business and how they have built such an amazing online reputation. We also wanted to find out what is the mission of Jan-Pro of Detroit and how they feel like they make their community a better place. 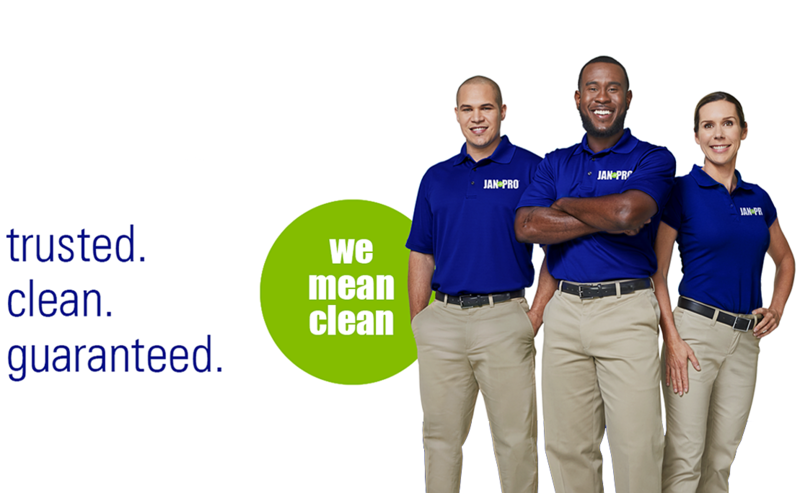 Jared explained that their mission is to provide a quality clean at the best price with the best response time. Congratulations to the team at Jan-Pro of Detroit for being a 2019 Top Rated Local award winner, and thank you so much, Jared, for taking the time to speak with us! Learn more about this business online today. 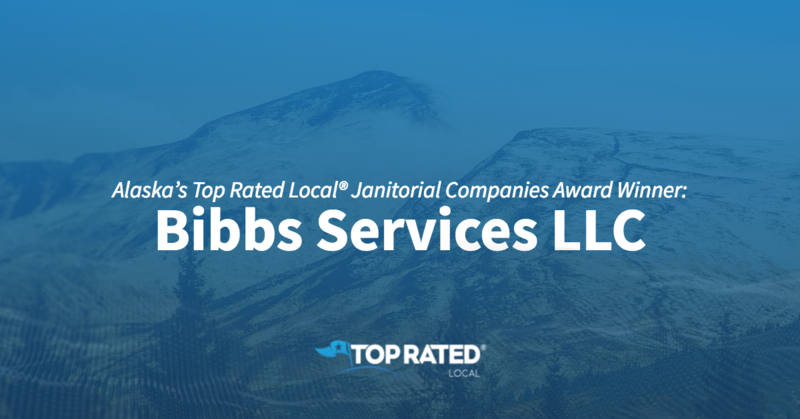 Top Rated Local® is pleased to announce that Bibbs Services LLC is a 2019 award winner in Alaska for janitorial companies! Whether you’re looking for a cleaning company for your home or office, look no further than Bibbs Services LLC in Anchorage. Bibbs Services LLC has received dozens of reviews on two verified sites with an average rating of 4.92 stars, earning them a spectacular Rating Score™ of 89.22 and a 2019 Top Rated Local award for being ranked the number one janitorial company in all of Alaska! “Bibbs Services is simply the best. They provide routine cleaning in both my residence and my business. Their employees are respectful and provide excellent results. I look forward to coming home or to work after they’ve cleaned, as it is always refreshing to walk into a well-cleaned room. They are the best in town!” – Emily E.
We sat down with Marcus Bibbs, the owners of Bibbs Services LLC, to learn a little bit more about the business and how they managed to build such a strong online reputation. Marcus credits Bibbs Services’ strong online reputation to the way they communicate with their customers. 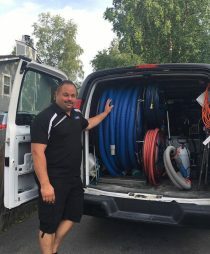 Outside of building a powerful online reputation, Marcus has grown Bibbs Services through word of mouth, by being active on Instagram and Facebook and through networking with building service contractors, carpet cleaners and floor care groups. Congratulations to the team at Bibbs Services LLC for being a 2019 Top Rated Local award winner, and thank you so much, Marcus, for taking the time to speak with us! For all of your cleaning needs in Anchorage, we highly recommend Bibbs Services LLC. Visit their website today. Top Rated Local® is pleased to announce that Keeping It Kleen Janitorial Service is a 2019 award winner for janitorial companies in Virginia! If you’re looking for the right janitorial company to work with in Norfolk, look no further than Keeping It Kleen Janitorial Service. Keeping It Kleen Janitorial Service has received dozens of reviews from three verified review sites with an average rating of 4.93 stars, earning them a remarkable Rating Score™ of 97.26 and a 2019 Top Rated Local award for ranking among the top 10 janitorial companies in all of Virginia! “Never disappointed. I manage a local’s favorite theater/restaurant and, as you can imagine, I have had cleaning issues that just can’t be solved in-house at times. After multiple cleaning company trials, I happened upon Jared and his company…I decided to try his company on a whim. [I had them do a] really small tile strip and wax job to test the waters. Two years later, they are still my go-to company for all outsourced cleaning. Meet with them, and you will find YOUR new go-to company….” – David B. 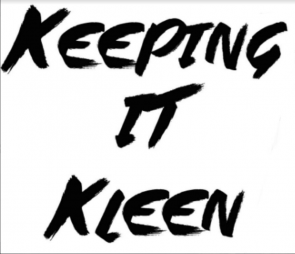 Keeping It Kleen Janitorial Service is dedicated to being the best and to working harder than the rest. The team at Keep It Kleen believe that hard work always pays off. Jared credits Keeping It Kleen’s strong online reputation to their commitment to always strive for perfection no matter what. Outside of building a powerful online reputation, Jared has grown Keeping It Kleen through door-to-door sales, but has done no digital marketing. 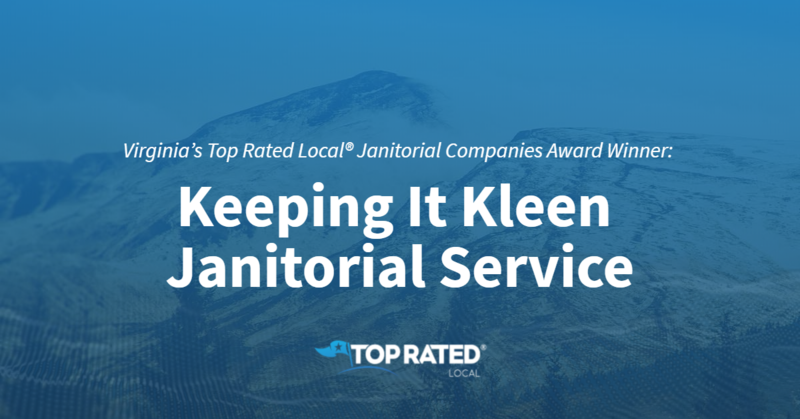 Congratulations to the team at Keeping It Kleen Janitorial Service for being a 2019 Top Rated Local award winner, and thank you so much, Jared, for taking the time to speak with us! If you’re looking for a reliable, professional janitorial company, we highly recommend working with Keeping It Kleen Janitorial Service. Visit their website today! Top Rated Local® is pleased to announce that iClean is a 2019 Top Rated Local award winner! Those are just two of the many positive reviews the talented team at iClean has received from ecstatic clients. In fact, they’ve received such positive feedback online that they have a tremendous 94.00 Rating Score™ and a perfect five-star average rating! Adan Acosta, the owner of iClean, took some time to speak with us about his business’ impressive online reputation. Thank you for speaking with us, Adan! 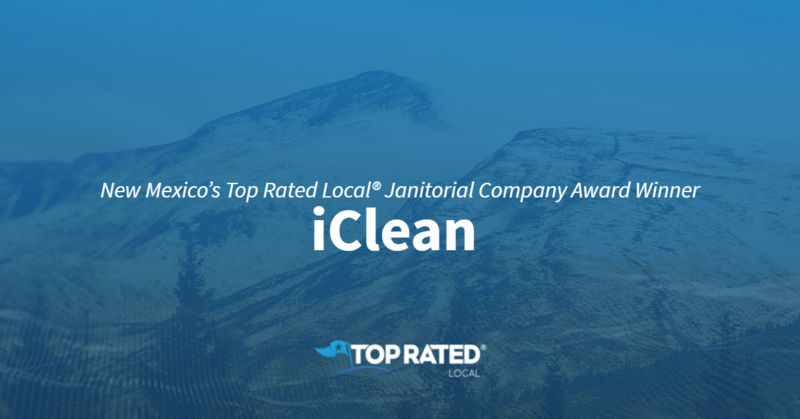 Congratulations to the team at iClean for being a 2019 Top Rated Local award winner! Top Rated Local® is pleased to announce that Cleaning Pros is a 2019 Top Rated Local award winner! “We have been using Cleaning Pros since July, 2016. They far surpass any cleaning service we have had. Our home including carpet has never been so clean. They are efficient and courteous and always on time. We highly recommend Cleaning Pros. There is no other cleaning service that could meet their perfection.” -Fred J. “Their crew cleaned our house before Thanksgiving. They were fast, thorough and did a great job. Very professional. Didn’t need any direction or help from us at all, they just did it! Highly recommended.” -Norman T.
“Not only do they provide an excellent cleaning service. They are professional, detailed, and care about my home! They also cleaned our carpet and tile and got some tough traffic stains out and were able to restore my grout lines. I now have them on a bi-weekly service along with a semi-annual floor service! Thank you Cleaning Pros!” -Mike J. Those are just three of the phenomenal reviews Cleaning Pros has received from ecstatic customers. Dozens of positive reviews have given Cleaning Pros a 92.72 Rating Score™, a 4.87-star rating, and a spot among the top three janitorial companies in New Mexico. Mike Jones, who co-owns Cleaning Pros with his wife Angelina, took some time to speak with us about the business’ stellar online reputation. So, what advice does Mike have for other business owners that want to build up an impressive online reputation? Thank you for speaking with us, Mike! Congratulations to the team at Cleaning Pros for being a 2019 Top Rated Local award winner! Top Rated Local® is pleased to announce that Janitorial Plus is the number one janitorial company in the entire state of Oregon! Our team spoke with Arturo, the owner of Janitorial Plus, about his business’ success online. We first asked Arturo what exactly it is that sets the Janitorial Plus team apart from the crowd. “We know how to best help our customers, and we not only know how to provide the best service, but also how to take care of their belongings as we take care of their cleaning,” he said. Thank you for speaking with us, Arturo! 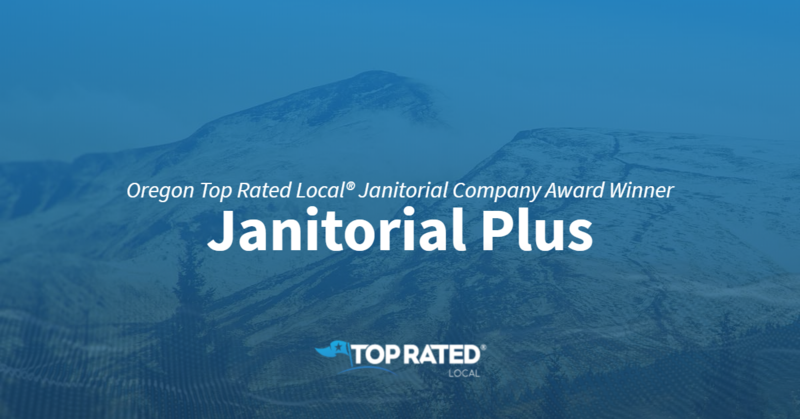 Congratulations to the team at Janitorial Plus for being a 2018 Top Rated Local award winner! 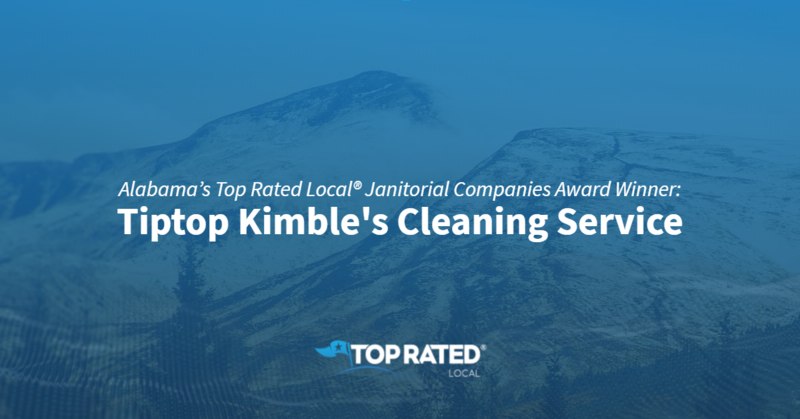 Top Rated Local® is pleased to announce that Tiptop Kimble’s Cleaning Service is a 2019 award winner for janitorial companies in Alabama! For all of your commercial and residential cleaning needs in Mobile and Baldwin County, choose the experienced professionals at Tiptop Kimble’s Cleaning service. Tiptop Kimble’s Cleaning Service has received dozens of online reviews from three verified sites with an average rating of 5.00 stars, earning them an impeccable Rating Score™ of 96.00 and a 2019 Top Rated Local award for being ranked the number one janitorial company in all of Alabama! 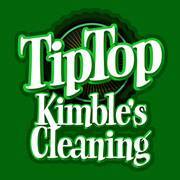 At Tiptop Kimble’s Cleaning Service, customer satisfaction is always their number one priority. When they clean a home, they do a complete restoration of the house, and they always make sure that the customer is 100-percent satisfied before they leave. Furthermore, they give their customers 24 hours after the job has been complete to call and let them know if anything needs to be fixed. Kendra credits Tiptop’s strong online reputation to her team’s management and consistency. They are always checking and double-checking that everything gets done, and that their customers get the service they deserve. Apart from building a powerful online reputation, word of mouth has been the main source of growth for Tiptop Kimble’s Cleaning Service. However, they also attend job fairs and set up booths at various events. We asked Kendra what advice she has for other business owners looking to grow their business and build their online reputation. Here are the words of wisdom she shared with us. Congratulations to the team at Titop Kimble’s Cleaning Service for being a 2019 Top Rated Local award winner, and thank you so much, Kendra, for taking the time to speak with us! For all of your residential and commercial cleaning needs in Mobile and Baldwin County, we highly recommend working with Kendra and her team at Tiptop Kimble’s Cleaning Service. Visit their website today! 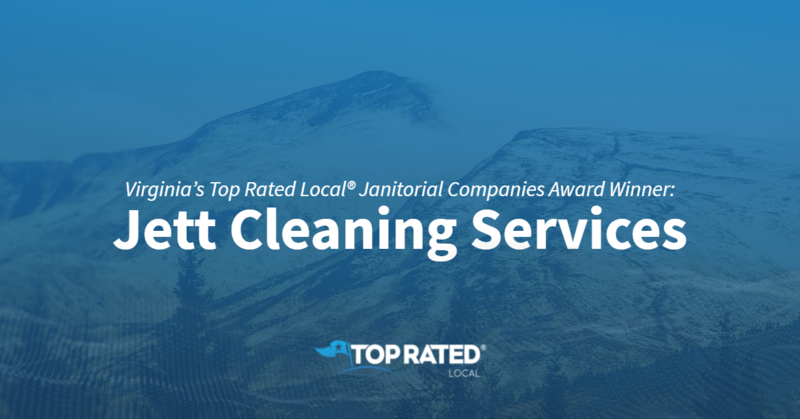 Top Rated Local® is pleased to announce that Jett Cleaning Services is a 2019 award winner for janitorial companies in Virginia! When you need professional janitorial services in Roanoke that you can rely on, there’s one company that stands above the rest — Jett Cleaning Services. Jett Cleaning Services has earned more than 100 online reviews with an average rating of 4.81 stars, a sparkling Rating Score™ of 93.14 and a 2019 Top Rated Local award for being ranked among the top 10 janitorial companies in all of Virginia! 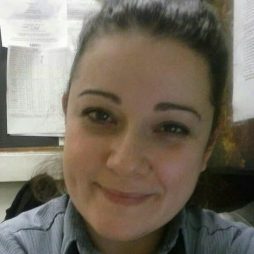 We sat down with the owner of Jett Cleaning Services, Sebnem, to find out what makes them different from other janitorial companies in Virginia. She told us that she genuinely cares about her customers. She’s not in it to take her customers’ money. She wants to build and maintain relationships with her customers. All of that time invested in customers has certainly paid off for Jett Cleaning Services, and it’s something all business owners who are looking to grow their business and build their online reputation can learn from. Congratulations to the team at Jett Cleaning Services for being a 2019 Top Rated Local award winner, and thank you so much, Sebnem, for taking the time to speak with us! 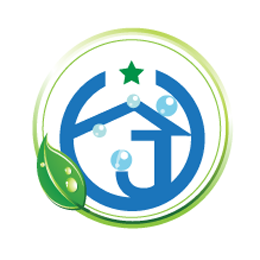 If you’re looking for a reliable cleaning service in Roanoke, we highly recommend working with Jett Cleaning Services!